A nice handy butane torch can be useful in the kitchen especially when you are practicing on making a dessert. The Crème Brule for one will require you to use a blow torch to achieve the thin golden brown caramel crust on its top. There's no other way to do it without a blow torch, so if you plan on making a batch of Crème Brule soon, you should think about getting a blow torch beforehand. If you don't have any clue whatsoever when it comes to blow torches, don't fret. 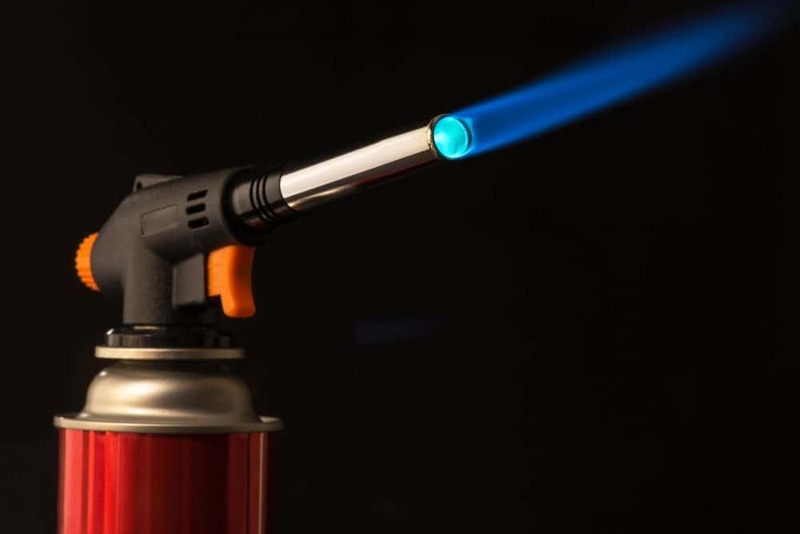 For in this article, I will share with you a couple of tips for buying blow torches as well as a list of the best butane torches I have found online. Read on to see. Butane torches capable of producing flames at very high temperatures can be used to melt common metals including aluminum and copper. What's more is that it can also be used to vaporize several organic compounds as well. 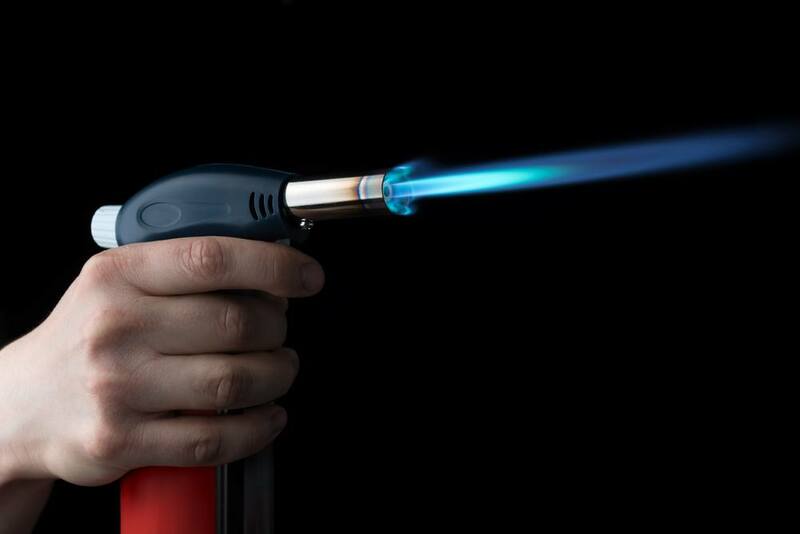 Butane torches today can be capable of producing flames with heat temperatures up to 2,500 degrees Fahrenheit. That's enough heat to melt certain metals. The Gas﻿﻿﻿ One cooking torch can be a great product for you if you haven't handled a blow torch before. It has a very compact design that makes it easy to maneuver. Its sleek shape can comfortably fit your hands, and can make it easy for you to point the flame where you need it to be. You can use this butane torch for flaming, caramelizing, browning, or to just add color and texture to your food. You may even use this torch to melt certain metals since it can produce flames with heat temperatures up to 2,372 degrees Fahrenheit. Another great culinary butane torch you should check out is the JB Chef culinary micro butane torch. This torch comes with a compact design that can make it very easy for you to hold at various angles that are essential for detailed outputs. What's more is that this torch comes with a locking mechanism as an added safety feature. Another great thing about this torch is that it comes with a regulator that you can easily maneuver to adjust the flame's settings, making it a great product for Crème Brûlées, searing tomato skins, melting cheese, glazing ribs, lighting a campfire, your cigars and more. It even comes with a lifetime warranty that can be very helpful if you need a fix or part replacements. Bellemain's butane torch is another great product that you can use to create wonderful dishes. This torch can produce flames with heat temperatures up to 2370 degrees Fahrenheit that you can easily adjust for deftly browned meringues to impressive flaming desserts like cherry jubilee, to name just a few. Another amazing thing that you are bound to love about this product is that it is very efficient. It can burn through a butane can for about 1 hour. It also comes with different safety features inl an extended nozzle that keeps the flame comfortably far from your hand, even when you're holding the torch at a downward angle. A safety lock that "freezes" the trigger so it can't accidentally ignite. And a handy flare prevent mechanism that keeps the flame steady in any position. Another professional butane torch you can buy online is the Iwatani CB-TC-PRO2. This torch comes with a pistol type design that makes it very easy to handle for long periods of time. It also comes with a built-in flame adjustment knob that you can use to turn down or turn up the flame depending on your needs. Perhaps the only downside to this product is that you can only use it with the Bu-5 and Bu-6 gas cylinders. But if you're just looking for a nice torch you can use to make a nice crème Brulee, glazing a baked ham for the holidays, searing a steak, roasting bell peppers, melting cheese and toasting bread crumbs, this one can be an excellent choice for you. The Big Shot butane torch is a great product that you can use for brazing, plumbing, soldering, jewelry making, and culinary, dental and lab applications. This butane torch comes with Anti-flare and a brass-frame nozzle for added safety and flame control, making it perfect for beginners. Another great thing about this torch is that it can produce flames with heat temperatures up to 2,500 degrees Fahrenheit. What's more is that it comes with a tilted design that can make it easy for you to hold it at different angles, just perfect for highly detailed work.